Greenland’s east coast is a primeval frontier, home to tiny, isolated Inuit villages and little else but ice. This August, Natural Habitats debuts Base Camp Greenland at the edge of the Greenland Ice Sheet—second in size only to Antarctica—and the glacial Sermilik Fjord. 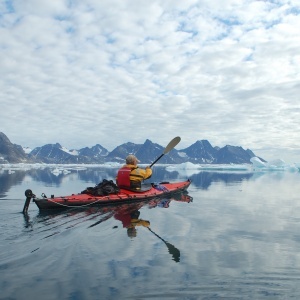 Days in the arctic tundra are spent navigating the fjord’s maze of floating icebergs by zodiac boat, kayaking the Greenland Sea, and scouting Arctic fox, hare, and loon during treks through fields of cotton grass. The camp’s first season opens on Aug. 1, 2015. 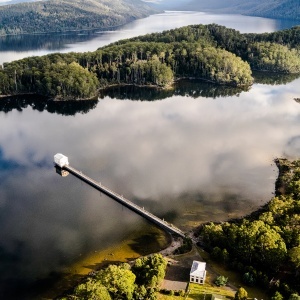 Floating in the middle of Lake St. Clair, against the backdrop of Tasmania’s primitive Central Highlands rain forests, this hydro-pump-station-turned-boutique-hotel feels a bit like its own private island—just, you know, with all the comforts of a mountain lodge. Inside Pumphouse Point, walls of Tasmanian oak and an earthy palette of muted grays, whites, and browns evoke the wilds of its surroundings. When not indulging in the honor bar or admiring the original water turbines beneath the lobby’s glass floor, you might spend your afternoons canoeing, trout fishing, or on a bushwalk in the alpine moorlands—keep an eye out for wallabies and wombats! 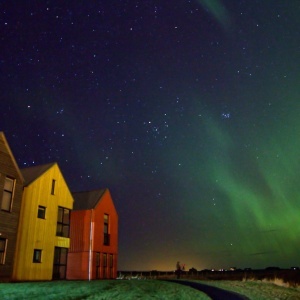 At night, all that’s left to do is to sit by your floor-to-ceiling windows and watch the stars come out—or even, if you’re lucky, the Southern Lights. 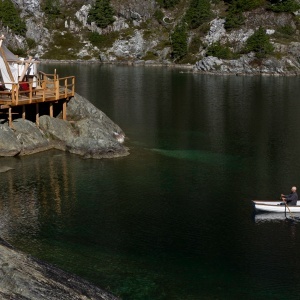 Come May, thrill-seekers can claim their own aerie at Cloud Camp, which is launching this May at Vancouver Island’s Clayoquot Wilderness Resort. A thrilling helicopter ride flies guests 4,500 feet above sea level to the rocky mountaintop, where a one-night-only safari-style camp perches over Clayoquot Sound. Your nest is well stocked: the white canvas tent includes a four-poster bed, down duvets, and a fireplace, which is particularly lovely when nights turn chilly. By day, you’ll be treated to a guided hike along the nearby mountain lake, with spectacular views at every turn. And by sundown? A five-course dinner with wine pairings prepared by your own private chef—the perfect prelude to a night spent dreaming in the clouds. The coastal desert of northwestern Namibia has a stark kind of beauty. It looks a bit like the surface of another planet—a sea of shifting dunes, unforgiving terrain, and not a soul in sight. 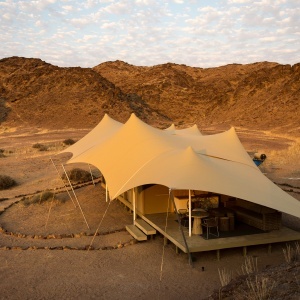 At Hoanib Skeleton Coast Camp, the newest retreat from Wilderness Safaris, eight tented suites have decks for viewing the desert’s lunar plains and roaming elephants, giraffes, and lions that seek out the waterhole nearby. In addition to daily game drives, guests that spring for a three-night stay are treated to a scenic flight over the region’s undulating dune fields and dolomite mountains to Mowe Bay, where, from above, one can spot Cape fur seal colonies and the litter of offshore shipwrecks that gave the Skeleton Coast its name. It takes a three-hour drive south of Anchorage followed by a 12-mile boat ride from the town of Seward to reach Fox Island in Alaska’s lesser-known Kenai Fjords National Park, but the journey is worth it. 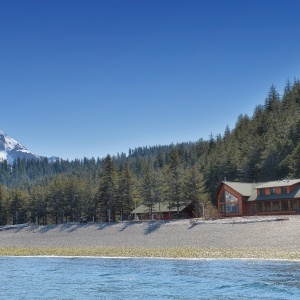 Each of the eight waterfront pinewood cabins and renovated main building at Kenai Fjords Wilderness Lodge look out toward the snowcapped mountains edging Resurrection Bay, known for its orca whales, sea otters, and bald eagles. Other perks: naturalist-led hikes along temperate rain forest trails, cooking classes (skewered salmon belly, anyone? ), and kayak tours of Pederson Glacier. A mere 310 people call the barren, windswept landscape of John O’Groats home, though interest has peaked since a dilapidated 1875 hotel was reborn as the stylish Inn at John O’Groats. The restored whitewashed mansion now stands alongside a colorful extension of buildings housing multi-bedroom apartments. Interiors are chic and spacious, with wood-burning stoves, mini libraries, and armchairs that afford stunning views of sea—and the palpable feeling that you’re sitting at the edge of the world.